The fast pace of change, business, and thus innovation requires several changes in the innovation processes as well as in the innovation culture of today’s organizations. One key element is that these organizations must embrace and foster a culture of experimentation in which failure is acceptable as long as the intentions were relevant and the mistakes learned from the failure were captured, so we don’t go on repeating the same failures over and over again. This is not the case today because most companies have a ”low tolerance for failure culture.” This leaves no room for experimentation, and unsurprisingly, the punching bag for this becomes the top leadership. Certainly, our topic here is not incompetent failure or mistakes. If your organization suffers from repeated bouts of incompetent failure and/or mistakes, your company almost certainly has bigger problems than I am prepared to address. But how else can we define failure? I completely agree; to innovate, we have to learn and we do that through experiments, some of which are destined to fail. But it’s not the failure that drives innovation, but rather the learning. Hence my term “smartfailing,” which I have written about in previous posts. For our purposes here, we are primarily talking about the last three categories on the hierarchy, although certainly, if a company continuously experiences product and idea failure, they put themselves at risk of eventually moving up the hierarchy to suffer a major firm failure. Business model failure is another level we might consider adding to the hierarchy, because a lot of innovation revolves around finding a new way to do business and, certainly, lots of failure occurs there, too. This is different than start-up failure because often start-ups are following old business models that have succeeded elsewhere. Another point to make about Kastell’s suggested hierarchy is that the failure to stop ideas or projects early on can lead to bigger failures later in the process. To use one of Kastelle’s examples, the executives at Coca-Cola ignored warning signs that arose in focus groups as they tested New Coke, which should have alerted them to the considerable backlash they would face if they messed with the formula for Coke. Yet they went ahead with an expensive product launch that quickly resulted in a complete humiliation for the company when it had to pull the much-hyped new product off the market in fewer than three months. Examples like this, where companies should have shut down a project far sooner than they did, litter the innovation landscape. There is little doubt that part of the problem here is an unwillingness by people at various levels and at various stages along the way to admit they might be on the wrong track, i.e., the track to failure. • Organizations fail to anticipate changes in the market. My focus on this is very much about change; it is important to notice that the fast pace of change we experience today actually seems to happen much faster outside of organizations than inside. 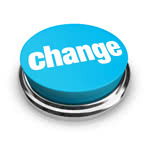 It takes time for organizations to adapt to changes, and this creates pockets of opportunities that can be lost or won. At last, I would also mention that another key element of failure for organizations is related to execution. Not much of a surprise. Based on my recent survey on why corporate innovation fails, Paul Hobcraft identified the top ten causes of innovation failure, and his results point straight to the top of the of organization. 3) Far too much focus on products and technology that ignore the other options within innovation, such as service, business model, platform collaborations etc. 6) the classic of classics, a poorly defined innovation strategy and the goals to achieve it. I fully agree with Paul that each of these are top management failures, and the key reason is that the executives simply do not understand innovation well enough to lead these efforts in the best possible way. This is unfortunate as this means that there are no quick fixes to this problem. Better overview, new processes: Corporate innovation teams must identify the key reasons for failure in their organizations, and then they must develop a learning process on how to address this. This process can be inspired by other failure/learning processes in the company (perhaps in production) or if the team already has a process in place in which they learn from their successes. Educate up and down on innovation: It is the responsibility for corporate innovation teams to educate and train the organization on innovation. They also need to educate upwards (the executives), which is often neglected since it is difficult for many to point out to their executives that they have shortcomings that need to be addressed. But they need to ask themselves an important question here: Who else will do this? As I said, there are no quick fixes to these issues, but I hope these thoughts will help organizations get started on improving their innovation processes and culture by becoming better at learning from failure. Want More Tips from Industry Experts? Browse our entire archive of blog posts on best practices and tips from software industry experts by visiting the Industry Insights section of the Business-Software.com blog.